Editor's note: Welcome to the Monday Roundup, where we take the temperature of teams around the league as a new week of the season gets underway. Baseball is always better when the Yankees and Red Sox are good. 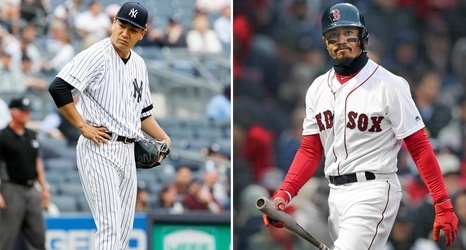 Love them or hate them, their disdain for one another and polarizing stature in the game’s history always makes for compelling matchups, even more so when both teams are legitimate World Series contenders. But what happens when both teams should be great but aren’t playing that way? Will their unexpected mediocrity add another layer to the rivalry’s first series of 2019?